Pakistan opens fire along LoC in J-K's Rajouri, Poonch sectors; jawan injured - Integration Through Media ....! 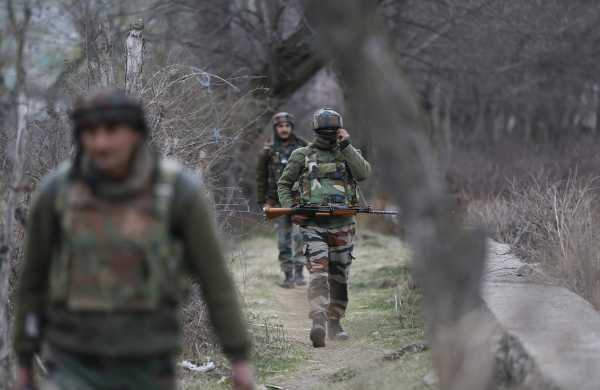 JAMMU: An Army jawan was injured when Pakistani troops tonight launched shells and fired along the LoC in Jammu and Kashmir's Poonch and Rajouri districts, an official said today. Indian troops retaliated strongly and effectively, they said. The Pakistan Army also fired at Indian positions on the LoC in Kerni area of Poonch district tonight, the police said. The exchange continued intermittently when reports last came from the areas, they said.